Fairies? Those gossamer-winged princesses from the golden age of Disney? People are scary enough — what could humans possibly fear from fairies? 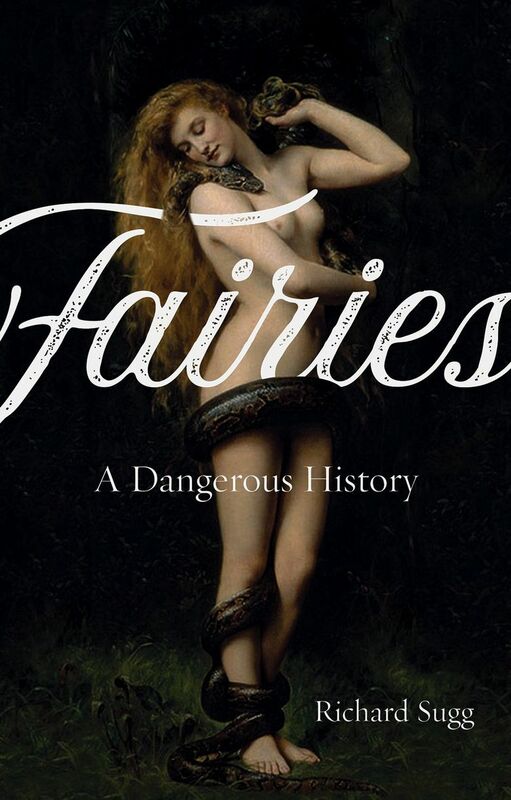 Richard Sugg’s engrossing new book “Fairies: A Dangerous History” has some answers. November marks a turning of daylight toward night, when shadows lengthen, leaves fall and the dying of the year seems one short breath away. Throughout history, humans believed spirits walked during this time, and they marked the moment with ceremonies: Halloween, Day of the Dead, All Souls Day and Samhain, the annual Irish festival of the dead, when torches were lit and spirits imbibed, and fairies, feared all year-round, made themselves visible to human eyes. Fairies? Those gossamer-winged princesses from the golden age of Disney? People are scary enough — what could humans possibly fear from fairies? I got some answers to my fairy question from Richard Sugg’s engrossing new book, “Fairies: A Dangerous History” (Reaktion Books), and I sought out the author, an academic and scholar who lives in the fairy-haunted land of Wales. He agreed to enlighten me on the topic of fairies — here’s an edited version of our email conversation. Q: How did you come upon the topic of fairies? A: I had been researching vampires and witches, and I came to realize that fairies had a similar status for ordinary people. For most people in most of history, there was nothing but magic. If your butter failed to churn, or your children or animals were sick, you blamed a magical scapegoat. But where witches were attacked and sometimes killed, fairies had to be appeased and respected … Ordinary people lived in awe and terror of fairies some way into the 20th century. Q: Where did people believe fairies came from? A: They believed that fairies were descended from the fallen angels; they had the power to destroy the world; and they seem to have literally scared people to death, in the way that ghosts or supposed vampires did. Some people described fairies as if they were ghosts, and in Ireland especially the dead were often said to be in fairyland. As pious as such people were, these and other beliefs were utterly heretical for orthodox Christianity. Q: You mention all kinds of fairies. Sticking to the land-based version, what does a fairy look like? A: In traditional belief, they could be any size between 2 inches and 14 feet. The most typical range would be about 8 inches up to 4 foot. And they would often be robust, vigorous and masculine, rather than dainty and passively feminine. Do not look for wings, and bear in mind they could look exactly like an ordinary human — a trait which allowed for some impressive Fairy Frauds, from people pretending to be the King or Queen of the Fairies. Q: Describe some fairy sightings. A: In the 20th century a Commander T.A. Powell was fly-fishing in Wales when he was accosted from the bank by an odd little elderly man in bright-green trousers, calling out about the trout. Glancing away for a few seconds to deal with a fish, Powell turned back to find that the man had disappeared — from completely open ground, and as if by magic. With fairies of a larger size, this ability to disappear in a flash seems to be a useful marker. Seemingly authentic sightings often have them looking odd, misshapen, ugly, or angry — not the kind of people your Victorian painters would have asked to sit for them. Q: Where do fairies live? A: Land fairies were usually held to live underground — very often in Iron Age forts, ancient burial mounds or unusual-looking hills. These habitats nicely matched the sense that the fairies were a complete alternative society, at once invisible and very close to you … their presence and their movements were superimposed across the world above ground, in the form of fairy trees and fairy paths. In Ireland especially these were treated with intense fear and reverence. Almost no one would dare cut down a fairy tree (usually a type of thorn) … If a fairy path ran through your house, you might throw open front and back doors at a certain time, to let the fairies through. 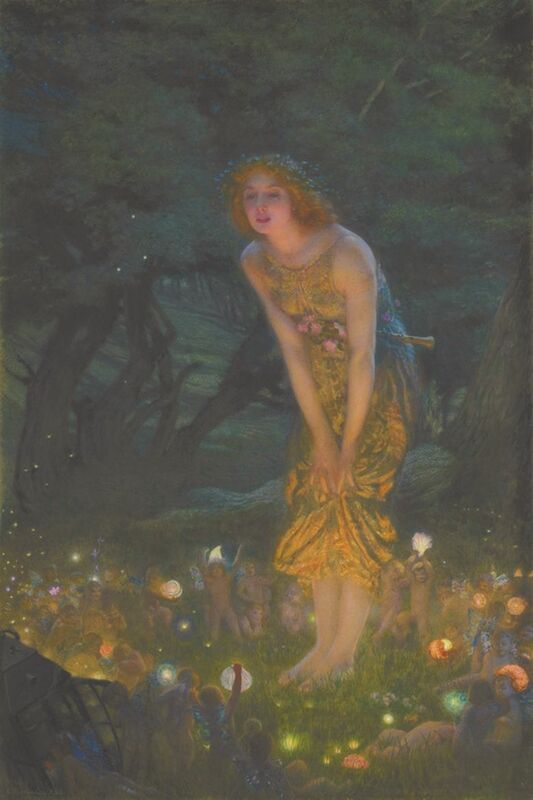 Q: What are the earliest mentions of fairies in English literature and history? Could fairies hearken back to an earlier race of men? A: Fairies were associated with Merlin and Morgan le Fay. Modern scholars sometimes now make a sharp distinction between fairies and elves. But there are important similarities, and in “Beowulf” the genealogy of the monster Grendel stretches back to the outcast Cain, held somehow responsible for all the “ogres and elves and evil shades” of later times. Around the end of the 19th century there arose a theory that the fairies were, in a sense, real people. A separate, defeated race, these marginalized Britons were in some versions Celtic, and in others specifically the Druids, after their suppression by the Romans in the first century A.D.
Q: You write of a 70-year-old Welsh man who told a folklorist that “in his childhood days a great dread of the fairies occupied the heart of every child.” What were children (and their parents) afraid of? A: They were most afraid that fairies would steal them. Degrees of this belief spanned much of Britain. In Ireland, it was believed that the fairies stole blue-eyed boys, and in Connemara people dressed all children as girls until age 12, so as to thwart the elfin abductors. In many cases, parents who claimed that the fairies had taken their blue-eyed infant and put a changeling in its place had some cause for the belief. They were responding to the onset of genetic disorders (such as phenylketonuria, or PKU) which had not been visible in the healthy baby. And genetic disorders manifest far more commonly in boys, especially those of Irish and English descent. Ironically, such children had very good reason to be afraid. Their parents could subject them to awful cruelties (exposure, extreme heat, bathing in poisonous foxglove essence) so as to persuade the fairies to “rescue” the changeling. Many died, and in Ireland one child who overheard herself described as a changeling seems to have died of fright. Q: Why did the Victorians love fairies so much? A: Fairies offered privileged Victorians a fusion of qualities which sharply opposed a world increasingly damaged, demystified and polluted by the Industrial Revolution. As miniaturized guardians of the natural world, they provided an escape to a kind of elfin Eden, and through their association with childlike wonder and innocence, they fed into the Victorian cult of the child. All this in a world where most children suffered appalling hardship in industrial or other labor, and were at great risk from sexual predators. Q: Are there fairies in America? Q: Given what you have learned about fairies, do you believe in them? A: The sightings I’ve read of have left me far more open-minded about this than I was before starting the research. Anyone interested should look at the extraordinary book “Seeing Fairies: From the Lost [Archives] of the Fairy Investigation Society.” The tricky thing with fairies is that they are much odder than ghosts. A ghost is a person who has died; but how does a fairy fit into the known animal-human world? I do believe that poltergeists exist. I spent most of my life as an atheist, until chancing on this topic while researching vampires. I then started to feel that far too many different types of people had experienced poltergeists for all of the accounts to be hoaxes, lies or imagination. And I found that people I knew very well had suffered this problem, but for years had been too embarrassed to tell me. In fairy cultures, weird things done by poltergeists were blamed on fairies. And in such cases, people were not merely imagining what happened.